TAIPEI (Taiwan News) -- On the afternoon of Wednesday, Nov. 8 residents of Taiwan were surprised to see a large group of African men chanting together and waving flags on some of Taipei’s busiest roads. The group of about 65 people marched to draw attention to the ongoing independence movement in the West African region of Biafra. A majority of people in the region consider Biafra a distinct nation comprised of several indigenous groups, which have been suppressed by, and subordinated to the federal state of Nigeria. There are around 70 people from Biafra living in Taiwan, and they are represented by an organization called the Indigenous People of Biafra (IPOB). The march on Wednesday is the first such event to be organized by the group, said Charles Opanwa, the group’s main organizer. The procession concluded before the offices of Amnesty International Taiwan, where the group's PR representative, Chuma kojo Obi, made a plea on behalf of Biafrans to people throughout the world. The people of Biafra want freedom and the right to self-determination, which are human rights that people of all nations should have and hold dear, the speaker said. 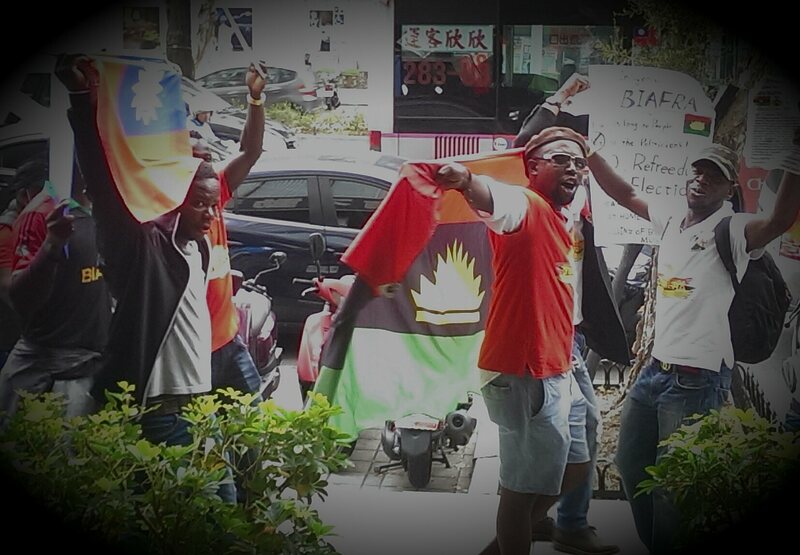 The IPOB hope to spread knowledge about the struggle of Biafra, which is why the group of expatriate Biafrans chose to wave Biafran flags, and chant as they passed out informational leaflets to every Taiwanese person they encountered. Chuma Obi emphasized that the Biafrans are a strong, law-abiding people that seek a peaceful solution to the conflict and an end to oppressive actions of the Nigerian government. IPOB is calling for a government referendum proposing independence for Biafra ahead of the country’s 2019 elections. However in recent months talk of a Biafran independence referendum has stirred tension in the Southeast region of Nigeria. The current leader of the Biafran Independence movement is a man named Onyendu Mazi Nnamdi Kanu. On Sept. 10, the Nigerian police and military raided his home and compound as part of a campaign called Operation Python Dance II, intended to quash any notion of a Biafran independence movement. IPOB claims that between 15 and 28 people (depending on the report) were murdered during the raid, and their leader Kanu is now missing. Unsurprisingly, the Nigerian government’s resort to violence has only inflamed the desire for independence among Biafrans. Operation Python Dance II is only the latest instance in a long and violent history of conflict between the Biafran region and the Nigerian government. Nigeria itself is a post-colonial construction formed under British supervision as a federation of tribes and regions that each possesses their own unique culture and historical legacies. From the perspective of the Biafrans, these differences have always been insurmountable. 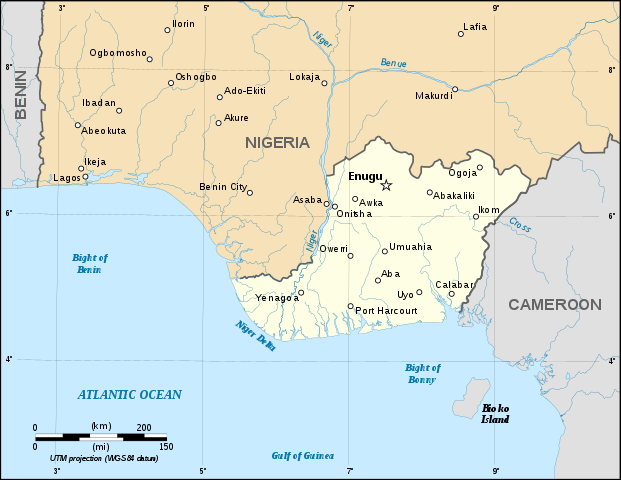 Cultural and economic disputes led to what is alternately called the Biafran war, or the Nigerian Civil War of 1967 -1970. It is estimated that as many as 2 million people in the region died of starvation in those years as a result of a horrendously severe blockade, enforced by the Nigerian government. 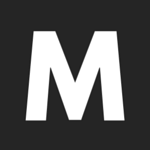 In the following decades tension has remained, often igniting into ethnic conflict caused by distrust and historical animosity. The northern regions of Nigeria are predominantly Muslim, and there have been regular instances of racial conflict with the non-Muslim ethnic groups of Southern Nigeria. Pogroms occurred throughout the 1980s involving northern ethnic groups like the Hausa and Fulani, who sought to expel people originating from the non-Muslim south, especially the people of the Igbo tribe from the Biafran region. The historical legacy of war, starvation and oppression which the Biafrans have carried with them has been simmering for half a century. It is no surprise, in light of recent events, like the creation of South Sudan in 2011, Britain’s vote to exit the European Union in 2016, and most recently, the Catalonian referendum, that many Biafrans feel now is the time to make their voices heard once more. The Brexit decision of the United Kingdom; the country historically responsible for modern day Nigeria and its amalgam of former colonial territories comprising combative ethnic groups, is a clear example for many Biafrans of a peaceful democratic means of declaring independence from an undesirable political order. 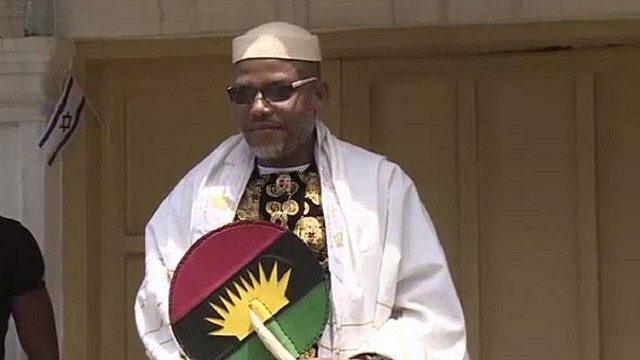 The recent raid on the home of Nnamdi Kanu and his disappearance at the hands of the Nigerian government has only reaffirmed a legacy of unjust oppression and exploitation for the people of Biafra. 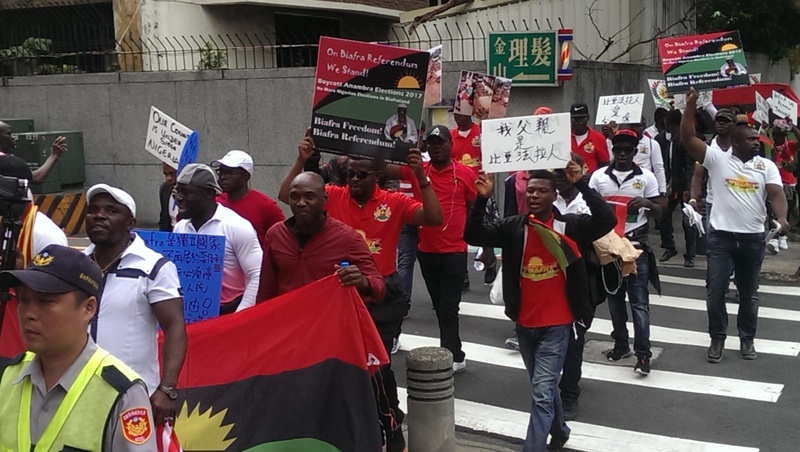 Charles Opanwa of IPOB Taiwan explained that the actions of the Nigerian government have spurred a concerted response of IPOB groups across the globe, to organize marches like the one in Taipei. Across the world, the IPOB group is asking governments and the UN to recognize the nation of Biafra, and for members to be granted political status as Biafrans rather than Nigerians. Nigeria ordered Taiwan's unofficial embassy to move out after bowing to pressure from China, which Biafrans may view as a political opportunity to court a potential future ally. In light of Taiwan’s contentious political situation with regard to China, and Taiwan’s respect for human rights, freedom of speech and democratic ideals, a desire for cultural autonomy, and political self-determination is a message sure to resonate with many Taiwanese.